The Race Manager handles all kinds of races from simple heats and practice sessions to full race and tournament events with up to 60 drivers. It can manage any number of lanes from 1 to 16, and has a timing precision of 1/1000 second. For a simple one off race, the set up is quick and easy, using the Quick Heat page. But there are many more options available in the Race Event page, where there are templates available for just about any format you can think of. 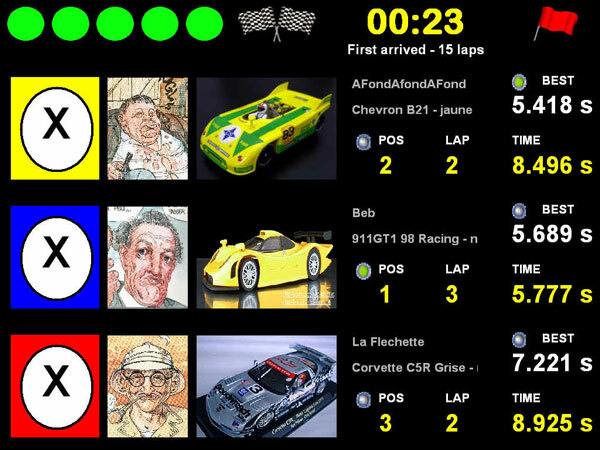 The Race Screen provides you, the driver, with all the live, real time information you need; race position, lap number, race time, fastest lap and much, much more. There are many race screens available, but it's also possible to create your own to give you exactly the information you want during the race. 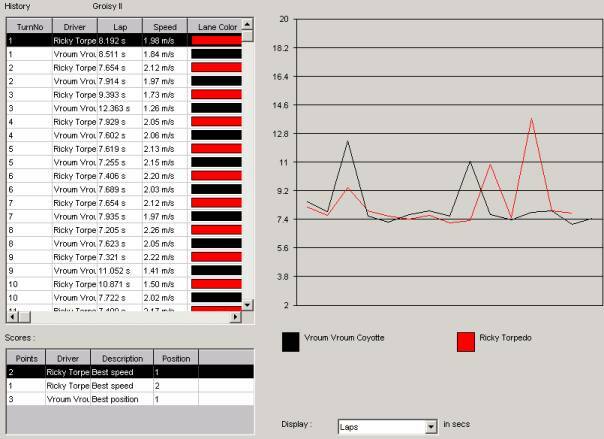 If simply awarding the podium medals isn't enough for you, then Ultimate Racer has the tools for in depth performance analysis of both drivers and cars. 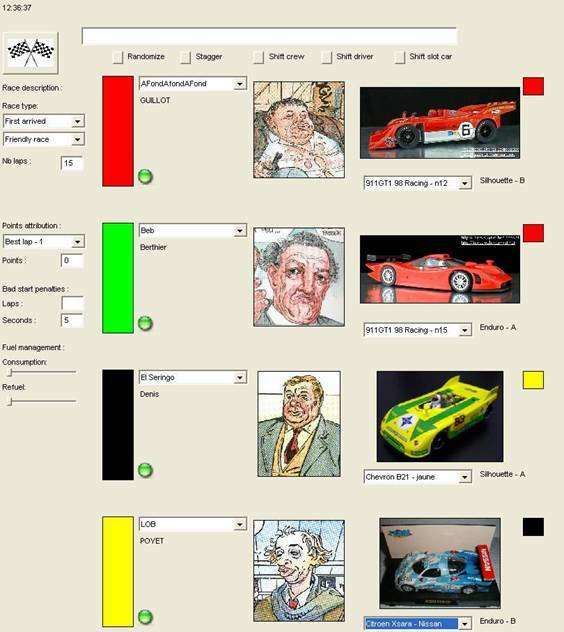 Ultimate Racer provides all of your software requirements, but you will also need some hardware to detect slot cars on the track. Find out more on the Hardware pages. Compliant with VNC to share the race view between several computers. 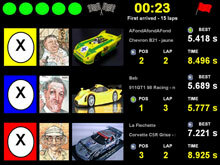 Customisable race sound events : false start, start race, end race, best lap, etc. Track managing with minimum lap time and track length.